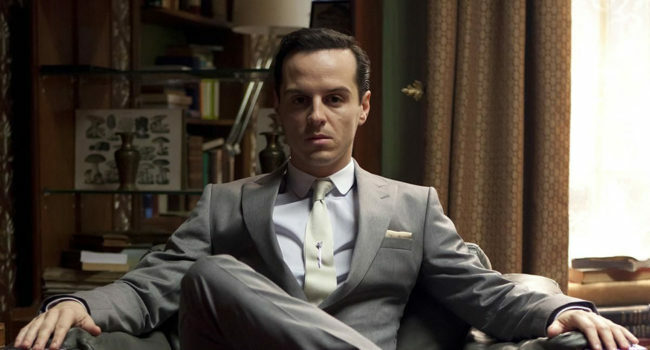 The infamous nemesis of Sherlock Holmes on the hit BBC show Sherlock, James Moriarty (Andrew Scott) matches Sherlock Holmes in wits, intelligence and cunning. Unlike Sherlock, Moriarty uses his talents for criminal purposes, establishing a wide underworld network. He enjoys setting elaborate traps that can take years to complete, toying with people and generally being cruel and ruthless. He dresses with the same care and attention to detail as he does when planning a heist or manipulating Sherlock.